German artist Anselm Kiefer has long maintained a studio at Barjac in southern France, where he assembled his large sculptures and painted some of his dark, disturbing canvases. Now he has abandoned the site, with the wish that it be allowed to “revert to nature.” People exploring the site have been struck by these towers, made of concrete slabs held rather tenuously together with steel cables and iron bars. The Seven Heavenly Palaces was a site-specific installation, created for HangarBicocca in Milan, Italy, in 2004. 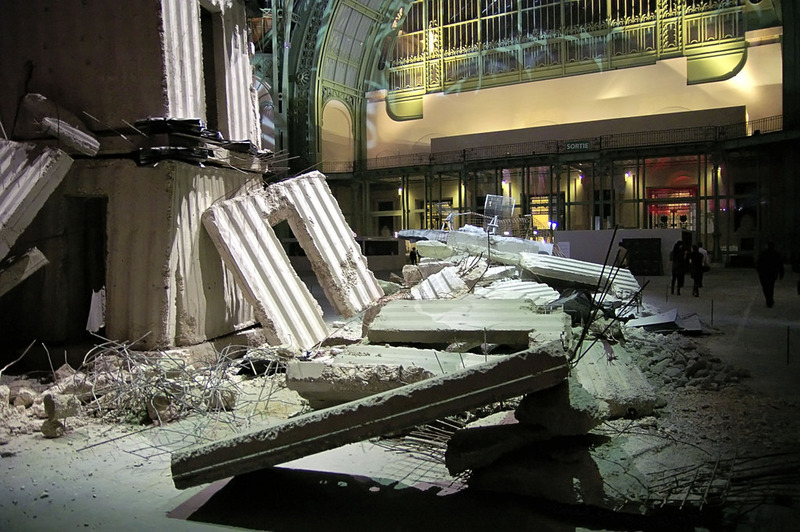 This installation turned out to be one of Anselm Kiefer’s most important works today. 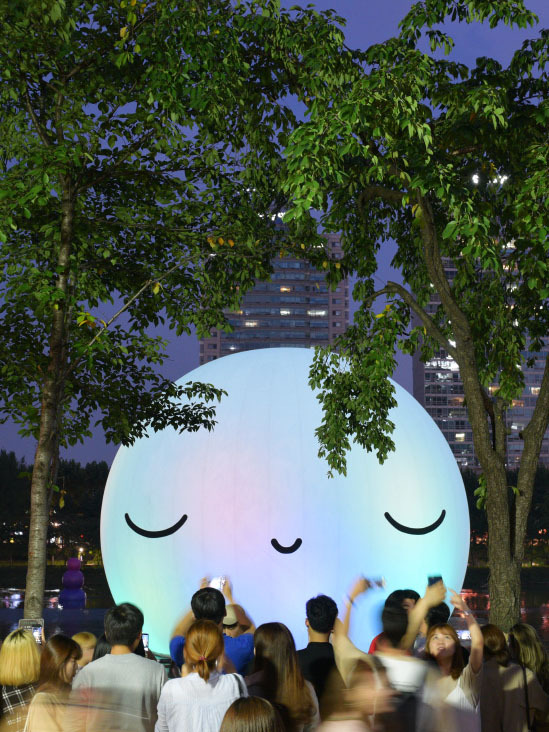 Commissioned originally in 2004 as a temporary piece, The Seven Heavenly Palaces was transformed into a permanent installation to the delight of many Italians and art lovers. As soon as it was turned into a permanent fixture, the installation immediately revealed itself to become an irreplaceable component of Milan’s collective imagination. The 2004 towers consisted of a stratification of structural components created from reinforced lead and concrete. They were designed to symbolize the mystical experience of ascension through the seven levels of human spirituality. Over the past few years, the installation underwent a series of changes that obviously altered its original orientation, use, likability and flooring. However, in 2015, five new components were added under Vicente Todolí’s guidance. 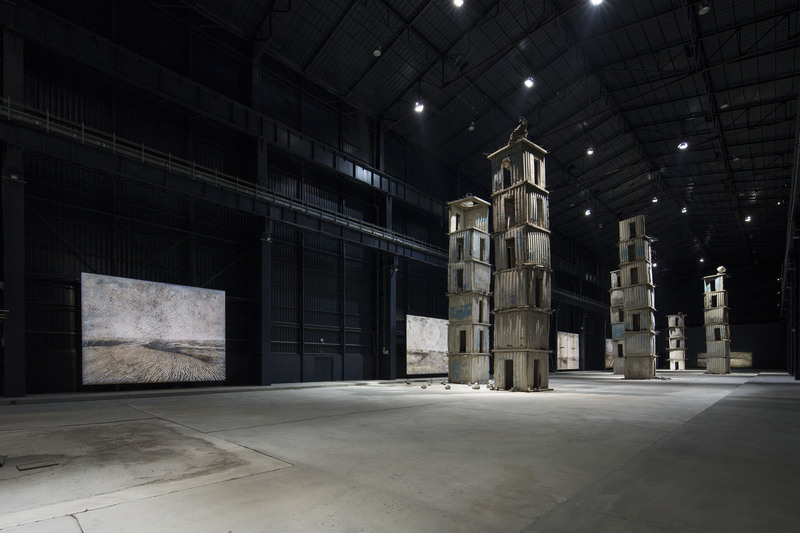 On September 2015, Pirelli HangarBicocca unveiled Anselm Kiefer’s up-to-date installation. The display was an expansion of the original Seven Heavenly Palaces. Alongside the seven towers, five large-format paintings that were made between 2009 and 2013 were added to the expanded installation titled the Seven Heavenly Palaces 2004-2015. 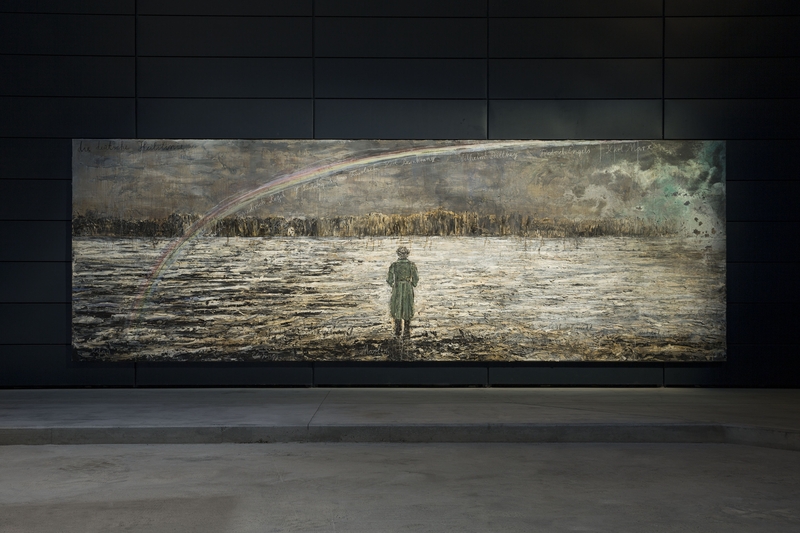 The five large paintings on display helped to significantly give new meaning to Anselm Kiefer’s work of art. The five paintings that make up the new collection include Jaipur, 2009, two pieces named ette obscure clarté qui tombe des étoiles, 2011, Alchemie, 2012, as well as Die deutsche Heilslinie, 2012-2013. Anselm created these new but complementary works that refer to some of the themes already present in The Seven Heavenly Palaces such as the architectural creations of the past observed as man’s effort to ascend to the divine, with each of the constellations signified using astronomical numbering. The five paintings added to the collection also help enhance several considerations that are key to Anselm Kiefer’s poetic vision, including man’s relationship with nature, as well as orientations to the history of ideas and of Western viewpoints. Anselm Kiefer was born in 1945 in a small town known as Donaueschingen in Germany. 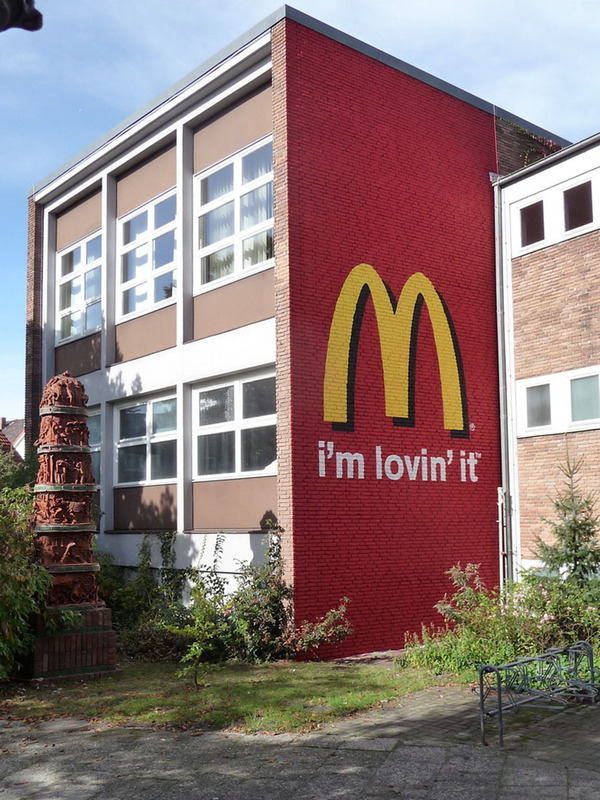 Anselm’s first-ever exhibition was held 1969 at the Kunstverein in Hannover but he has since exhibited his works in some of the leading global art spaces. 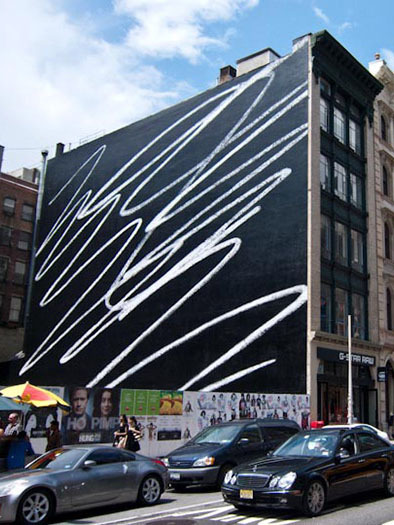 The international institutions have put on solo and retrospective exhibitions of his work include the Philadelphia Museum of Art, The Hirshhorn Museum and Sculpture Garden, the San Francisco Museum of Modern Art, MOCA, Los Angeles, and MoMA, New York and many more. 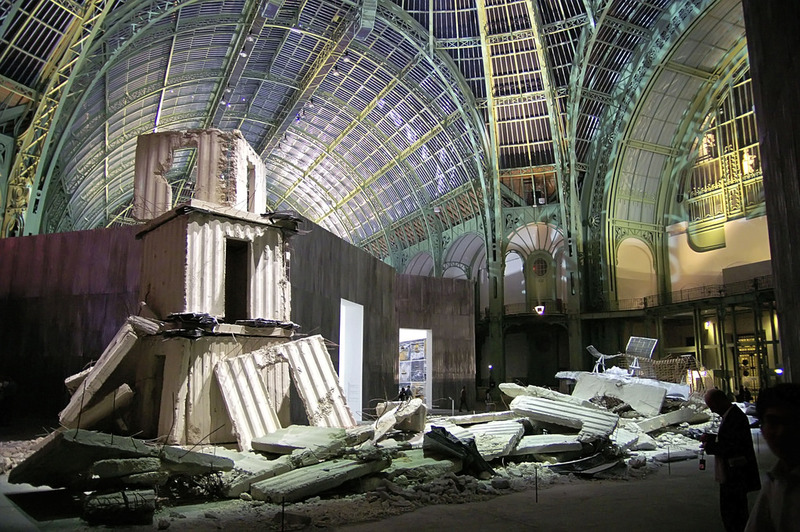 All images by Anselm Kiefer/whitecube.com unless otherwise noted. Posted on January 22, 2019	in the category Painting, Sculpture and tagged Anselm Kiefer, Architecture, Art in London, Art in Milan, Art in Paris, Grand Palais, HangarBicocca, other, Royal Academy of Arts.